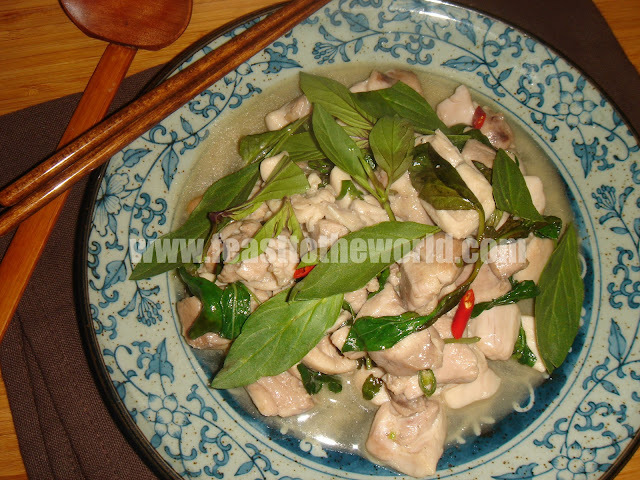 The Holy basil is revered by the Thai for it's aromatic fragrant as well as for its medicinal purposes. It is high in antioxidant and is used to treat a wide variety of conditions. I have been looking for Thai holy basil for some time now and for a while, it was practically impossible to locate them even in the best supermarket in Chinatown. The recent flood crisis in Thailand destroyed many of the crops hence the scarcity of this delectable fragrant herb. After numerous back and forth trips to Chinatown for almost a month, I've finally managed to tracked them down. The holy basil has a sharp, mentholated taste which is completely unique and refreshing. My first thought was to make this classic Thai stir fried dish which make the best of this herb by allowing its flavour to shine through. It is extremely simple and quick to prepare but with the ending result being so delicious, no one will ever guess. Heat the oil in a wok over high heat until smoking, add the garlic and stir fry for 30 seconds, until fragrant. Add the chicken and stir fry for 3 minutes before adding the chilli and half of the holy basil. Cook for another minute and add the fish sauce and toss to mix well. 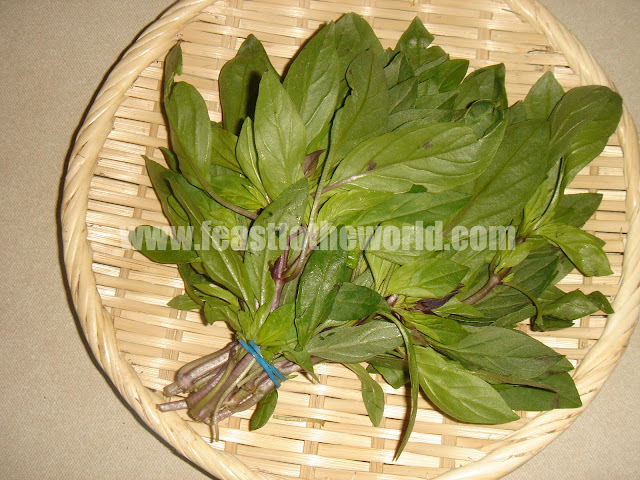 Transfer onto a clean plate, scatter the rest of the holy basil and serve immediately with some steamed rice.